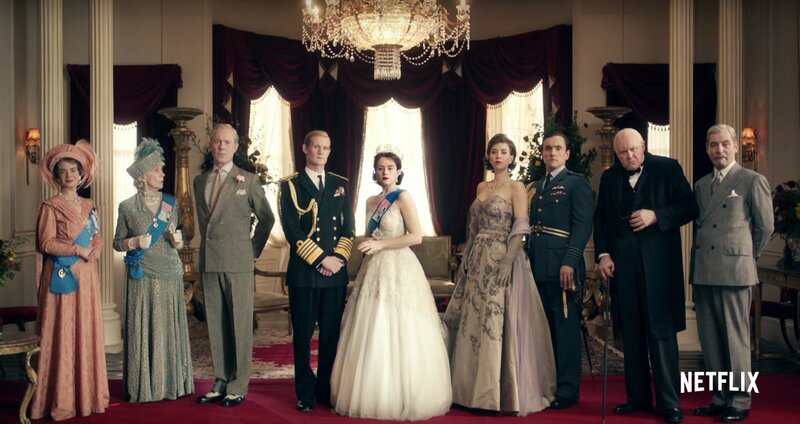 While ITV and PBS are chronicling the reign of Queen Victoria in Victoria, the heir apparent to Downton Abbey, Netflix will turn their efforts to the 60+ year reign of Queen Elizabeth II beginning November 4 with The Crown. 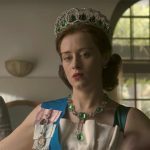 Reportedly, the most expensive series to date at a cool $156 mil (even more than House of Cards), The Crown will also be Netflix’ first ‘official’ UK series. The equally as lavish looking 10-part series begins at a time when Britain was recovering from war and its’ empire was in decline. A young woman took the throne as a matter of duty not desire. Matt Smith (Doctor Who) portrays Prince Philip, Duke of Edinburgh, husband to Queen Elizabeth II, played by Claire Foy (Wolf Hall), in The Crown. The 10-episode series is based on Peter Morgan‘s play The Audience, which explored the Queen’s professional relationships with Britain’s various Prime Ministers throughout the second half of the 20th century. Much like Jenna Coleman’s portrayal of Queen Victoria in Victoria, Foy will portray Queen Elizabeth when, at the young age of 25, she prepares to assume the crown and is first faced with the prospect of leading the monarchy into a new era. The series reunites Morgan with The Audience director Stephen Daldry (The Reader). Morgan’s stage version of The Audience starred Dame Helen Mirren as where she deservedly received the Laurence Olivier and Tony Award for Best Actress. The play used the weekly meetings between the Queen and her prime ministers as a framework to tell the story of her life. Much like the play, the series will reveal the political rivalries and romance behind Queen Elizabeth II’s reign and the events that shaped the 2nd half of the 20th century through these ‘audiences’. 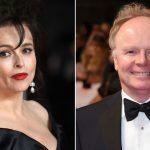 In addition to Smith and Foy, The Crown will also star John Lithgow as Winston Churchill and include Dame Eileen Atkins, Jared Harris, Jeremy Northam, Vanessa Kirby and Victoria Hamilton. 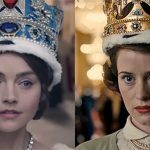 The Crown begins November 4 on Netflix.